Spring is the most joyful transition in our seasonal changes, when finally we can take off the layers of clothes, open our windows and soak up the sun again. It is the time when we shake off our winter colds, sore throats and aching joints and feel a strong pull to be outdoors once more, connecting, creating, cleansing. Join us for this uplifting day-retreat at Osana to experience and release the most vibrant and creative version of you this Spring. We see that this pull is not dictated by society or our cultures, but is a deeper, more primal energy within us. The whole of Nature is starting to emerge; buds appearing on trees, which will soon become blossoms and, in summer, fruit; animals waking up from hibernation or returning from warmer places that they migrated to in autumn for winter; and of course the mating – the birds, the bees, the bears, and yes, also we feel the urge to frolic once more! Spring is the season of new beginnings in many ways; new life, creating clear spaces by ‘spring-cleaning’ our homes, physical detoxing, and, after a long winter of reflection, introspection and healing, hopefully a birthing of new ideas, projects and directions in life. Join this fun and uplifting day-retreat, a rare opportunity to practice with Sara and Jean Philippe in Cairo and to learn from their combined experience of over 40 years of practice. Change is the one constant in our lives, and many of us sense that we could be getting more from life, have more energy, greater fulfilment from our work or relationships, better health, more ease and a deeper sense of balance and connection. However, very often we chase after one thing and then the next, and end up exhausted, and feeling further from our goal than ever before. This day-retreat is an opportunity to connect with the energies of this season, and to gain insights and tools into changes you can make to align yourself to what is already occurring naturally within and around you. When we ‘go with the flow’ of the more subtle but infinitely more powerful energy of the spring seasonal change, we find we can embrace the upwards, outwards energy that is already awakening within us, and direct it consciously for greater effect in our lives. Anyone who can sit comfortably on the floor with cushions can join this workshop. The yoga is an all-level practice, suitable for everyone, even complete beginners. No prior experience of either yoga or meditation is necessary – please come, and invite your friends and colleagues too! The fee for the full day, including a delicious Osana Spring Detox lunch) is le1200. Advanced registration is required to secure your place. All deposits are non-refundable within one week of the start date of the course. In case of cancellation more than one week Osana will refund 80% of the deposit but retain a 20% administration fee. If you have any questions about the workshop content, or whether it is suitable for you, please email us. For all other enquiries about how to register, or anything relating to the lunch, travel, parking etc, please contact Osana directly. Sara Campbell has been guiding people to discover their depths since long before becoming a world champion freediver. Her journey of self-healing from ulcerative colitis led her to become a Kundalini yoga teacher and ultimately brought her to a new life in Dahab. Here she truly began exploring the concepts of life, happiness, success and failure, and how to reach our human potential, both in and out of the water, on and off the mat. Sara teaches yoga, meditation and freediving internationally, and also provides spiritual coaching for athletes, and anyone at a crossroads in their life. She has been involved in several TV documentaries on freediving and human potential, is the founder of Discover Your Depths, and has created her own online training programme, Yoga for Freediving. Jean Philippe has been practicing yoga for more than 20 years. A difficult childhood and life’s circumstances brought him instinctively to sit in deep meditation about the fundamental questions of our existence; the meaning of life and death, the nature of being and our deeper identity, happiness and suffering, the search for meaning and freedom. Certified to teach since 1999 he has been educated in various lineages including Sampoorna Yoga with Sri Yogi Hari (USA), as well as with the Swamis of the traditional monastic south Indian ashrams of Yoga Sivananda (Chennai and Neyardam, India; and Paris, France). Jean Philippe’s practice and teaching are continue to be inspired by the many teachers of various lineages and traditions that he has been touched by over the years in workshops and seminars in Belgium, and on retreats and travels around the world. Through structured and flowing classes, Jean Philippe invites his students to connect actively with their body, their breath and their awareness by accepting and respecting the limitations we may experience moment to moment. He reminds his students to return to and nurture a sense of deep peace, balance and oneness that is the core purpose and focus of yoga. He is also a highly experienced meditation practitioner and teacher, having spent many years studying traditional Buddhist techniques with reknowned masters. Recently over three years, Jean Philippe created and delivered a programme of stress management and wellbeing in the workplace for the senior management for the investigative branch of the technical and scientific federal police of Belgium. 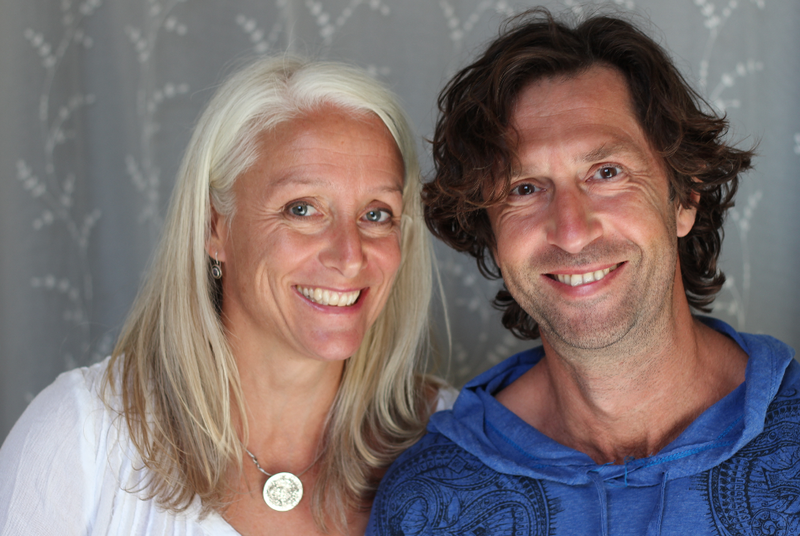 Jean Philippe and Sara will be running week-long Seasonal Alignment Retreats four times a year to share their experience, and the wisdom of nature and the ancient traditions of their yoga and meditation lineages, in a deeper immersive format. We invite you to join us on this magical intimate retreat - only six places to ensure we can give you all the care and attention you need to develop your practice and to immerse yourself in the Spring Alignment process. We will start the retreat in Dahab to connect the energy of the group, and introduce the theme of the retreat. We will then travel to St Catherine’s to immerse ourselves in nature in the desert, meeting and learning from 70-year old Dr Ahmed, the last in a long line of Bedouin herbal healers. We will trek through the desert to really connect with, honour, and listen to Mother Earth, and spend two days at Habiba Organic Farm where we will study and serve the rhythms of nature through learning about modern organic farming. What wisdom can we gain from Nature, what lessons can we learn and integrate for ourselves? Returning to Dahab we will go deeper into the ways we can personally align ourselves to the Spring energy within and around us, to find flow in our creativity, and release the abundant energy that is awakening once more in our cells.